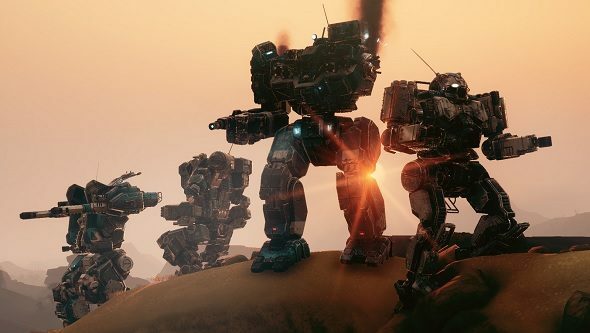 Small failures in excellent mech game BattleTech can easily snowball and wreck your whole campaign, but you might not realise until hours later. On my first run as the leader of a freelance crew, I dug myself into a hole around ten hours in: I was low on cash, my mechs were battered, and my pilots were on bed rest. I tried to find a solution, but the only way I could fix such a dire situation was to jump back a full three hours to replay a mission that had started me down the path to my woes. I didn’t fancy it, and so I booted up a new game instead. There’s more where this came from – check out the best strategy games on PC. While I did learn a lot from that run it still felt like time wasted (maybe I could have kick started it by reading Jules’s BattleTech tips). That’s probably why I’ve been loving a mod that reduces the length of campaigns in BattleTech to eight hours. 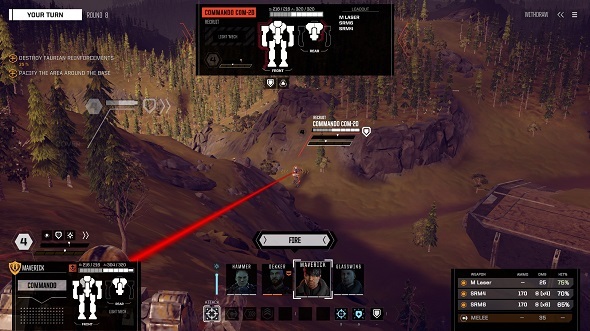 It’s called FTL Prototype, and it basically transforms BattleTech into space roguelike FTL, or as close as it’s going to get to it. Every time you start a new campaign you generate a randomised star map, and you only have 120 days of in-game time to build up your fleet and prepare for the final mission. It’s like playing the base game on fast forward. You can build up your squad quicker because you need less salvage to build new mechs, you’re more likely to find rare loot at the end of missions, and you can hire pilots with more skill than usual. You also start with the Argo, a ship that you usually only find after a few hours into the main campaign. But that doesn’t make this mod easy. 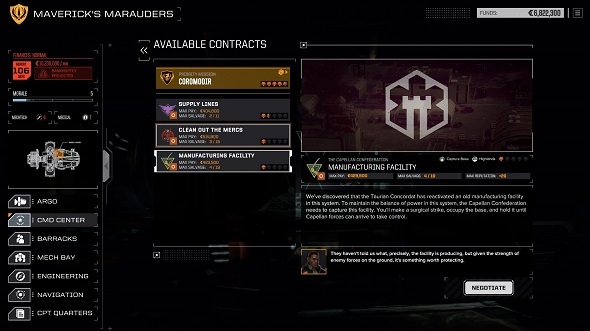 You begin every run disliked by all factions, which restricts the contracts you can take on and increases prices at stores. It requires much more of a focus on reputation management, then – I make sure to check who I’m being asked to hurt during missions so I don’t annoy the wrong people, which could come back to bite me later. Pilots also gain experience more slowly so you have to specialise them. I went for all-rounders in the main campaign, but in this mod I’ve turned my main character, Dragon, into a brute who can’t shoot but can smack mechs round the face harder than any rockets can. 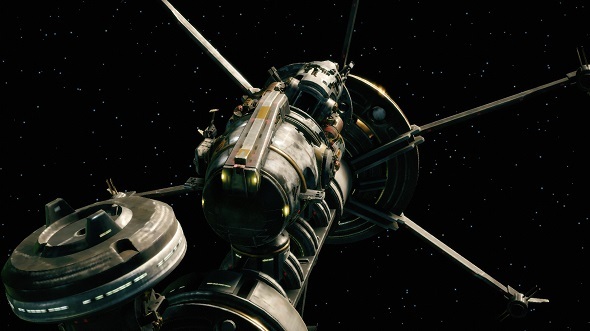 It all adds up to a wickedly hard experience – not unlike FTL. I’ve not managed to get anywhere near the end after several attempts. But I am getting a little further each time, and the fact that runs are so short means I don’t mind failing. If I have a particularly bad mission I can just start a new campaign, and I’ll be in a better spot within the hour. As a result of this I feel like I’m improving far quicker than I did in the base game. Faster repairs and constant time pressure means you take on more contracts than usual, so you see more action. You run into more random events when you’re in orbit, too. Within the space of five days, I resolved a dispute between two of my pilots over which of them outranks the other, I threw a birthday party, and even fought off space pirates. I’m also cycling through mechs faster with this mod. During one mission, in which I’m tasked with destroying a lance of mechs and then blowing up an enemy base, two of my best mechs are destroyed. But in the rubble at the end of the game I pick up enough enemy mech parts to build two new types: one flamethrowing Firestarter and a heavier Enforcer. I kit them out with some flashy new guns that I pick up and send them straight back into battle. Even though it’s hard, I reckon FTL Prototype is a great entry point for BattleTech beginners. The reasons being that you gain much more combat experience, and are pushed to try out all the different mechs, before diving into the nitty gritty of managing a crew and balancing the books. That said, I have experienced bugs that cause the map to reset after missions, which makes it difficult to navigate. I’ve reached out to the mod’s creator to find a solution and hope to hear back soon. But aside from that, I’ve probably had more fun with this mod than I have with the base game, which is saying a lot. The mod’s creator, Delta Angelfire, plans to improve it in the future, too, with a barebones custom story, a randomised final mission, and other additions that players suggest. If you initially enjoyed BattleTech but fell out of love with it then I recommend giving FTL Prototype a whirl.